Education Policy and Inequality: Do We Have Unrealistic Expectations for K-12 Education? The public education system in the United States is world class. The public education system in the United States is also a disaster, an embarrassment for an affluent nation. There are reasons for optimism for American education. Stakeholders understand the critical role of public education in shaping the future—“winning the future” as President Obama is apt to say. The debate over the Common Core curriculum features some of the worst of American ideological divisiveness. 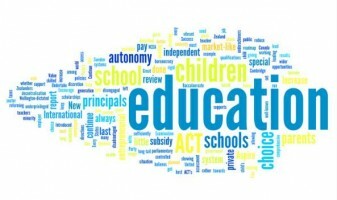 However, the passions underscore citizens’ recognition of the importance of public education and the desire for a better standard of education for the 21st century. Educational achievement is a strong predictor of economic outcomes and remains a critical factor for career advancement in a technology-based future. Policy innovations in education may not end income inequality or resolve ongoing civil rights struggles, but efforts to improve scholastic performance for students regardless of geography or socioeconomic status could have positive implications for society. Implementing an innovative method of instruction, such as a problem-based curriculum for eighth grade physical science that incorporates hands-on discovery through robotics for which I served as a program evaluator, requires an adjustment to teachers’ professional practice. Analyzing interviews with teachers revealed that making a change in the context of a public school classroom- with the testing requirements from state and federal authorities and pressures from key stakeholders-required significant financial and professional development resources. It resulted in academic achievement and surveys showed stronger interest and enjoyment from the scholastic experience. Creating a primary or secondary school environment where students learn and enjoy learning is an accomplishment in any school within any community. These accomplishments in individual classrooms across the nation, however, will not overcome the financial, social, and geographic challenges that foment inequality in the United States. They are a start, but they are nowhere close to permanently closing the achievement gap. The recent film Selma portrays a struggle for equality from an earlier era, exploring the experiences of American history during the 1960s civil rights movement. As Rev. Martin Luther King (brilliantly portrayed by David Oyelowo) expresses to President Lyndon B. Johnson (as played by Tom Wilkinson), Washington’s leaders could overcome the blight of limitations on voting rights with a law that regulates equality. While there was nothing simple about the adoption of the Voting Rights Act, the challenge of inequality that continues into the present day requires more than a single stroke of a pen to sign a law, but rather the stroke of every pen that works to implement social policy- including education policy- across the land. There is no one solution, but that is not an excuse for public administrators not to work with key stakeholders and put forth their best efforts to improve the education system, and thus, focus on advancing the balance-wheel of the social machinery. Author: Benjamin H. Deitchman is visiting assistant professor of public policy in the Saunders College of Business at the Rochester Institute of Technology. You can email him at [email protected] and/or follow him on Twitter: @BHDRIT. One Response to Education Policy and Inequality: Do We Have Unrealistic Expectations for K-12 Education? 1. A typical definition of the achievement gap is something like this. “Achievement gap refers to the observed, persistent disparity of educational measures between the performance of groups of students, especially groups defined by socioeconomic status (SES), race/ethnicity and gender. http://en.wikipedia.org/wiki/Achievement_gap_in_the_United_States At first glance, this seems reasonable. 2. For many readers, the concept of the achievement gap refers to blacks versus whites. When we look at this difference, we see the black-white disparity exists across the spectrum of parental income. As we research the possible causes, we are invariability drawn to the IQ differences between blacks and whites (with blacks =85 and whites = 100). 3. We thus realize that comparing blacks to whites is unfair. A better approach is to look at the observed achievement levels of the different ethnic/racial groups and compared each group to its expected level of achievement. For example, blacks have an average IQ of 85 with a standard deviation of 13.5. Now, let’s suppose that an IQ of 85 is needed to graduate from high school. Thus, if 50% of the black students graduated, we would say that there is no achievement gap. That is, there is no gap between what we expect and what we observe. Article: At Pittsford Mendon High School, a public school in the Rochester (New York) metropolitan area, almost 9 in 10 high school students participate in the Advanced Placement program, and 99.6 percent of students graduate in four years of study. A few miles down the road in the City of Rochester at James Monroe High School fewer than 4 in 10 students graduate on time. It’s an abysmally low number, but a result consistent with the 51 percent graduation rate for the city public school system as a whole. If we make the reasonable assumption that an IQ of approximately 90 is needed to graduate from the two high schools and that the standard deviations of the IQs of both schools are 15, then the average IQs of the students are 130 and 86, respectively. This supports the rationale for getting the federal government out of education. When such decisions are freely made at the state and local levels, the advantages and disadvantages of different education programs are easier to evaluate. This is a very insightful and helpful observation. The people are the difference. In the Pittsford Mendon High School example, most readers will have feeling that the accomplishments of these students cannot be attributed to such things as better teachers. I doubt that any teachers are that good. The difference is almost certainly due to the difference in the students.